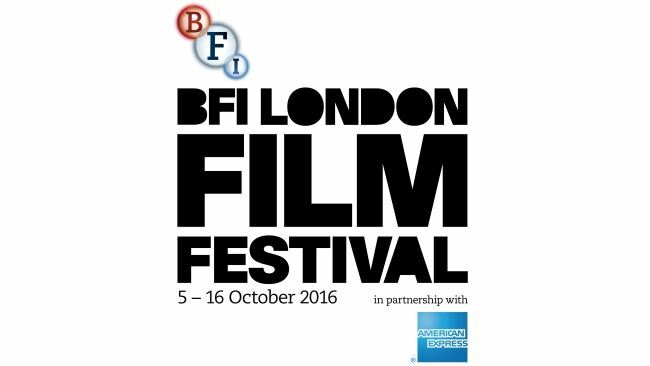 It’s that time of year again: the 60th BFI LONDON FILM FESTIVAL Wednesday 5 – Sunday 16 October 2016. The programme includes lots of galas, many at the Odeon Leicester Square but there is also a brand new cinema experience at the temporary Embankment Garden Cinema, in Victoria Embankment Gardens. The Festival will screen a total of 193 fiction and 52 documentary features, including 18 World Premieres, 8 International Premieres, 39 Euroopean Premieres. There will also be screenings of 144 short films, including documentary, live action and animated works. A fantastic line-up of directors, cast and crew will take part in interviews, Screen Talks, Q&As. This year’s festival includes a Symposium event that heralds the BFI’s BLACK STAR project, the UK’s biggest ever season of film and television dedicated to celebrating the range, versatility and power of black actors. 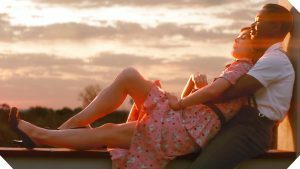 So many galas to look forward to – watch out for A UNITED KINGDOM, starring David Oyelowo and Rosamund Pike, which tells the true story of Seretse Khama, King of Bechuanaland (modern Botswana), and Ruth Williams, the London office worker he married in 1947 in the face of fierce opposition from their families and the British and South African governments; Garth Davis’ feature debut LION, starring Dev Patel, Rooney Mara, David Wenham and Nicole Kidman. LION tells the true story of how a wrong train takes a five-year-old Indian boy hundreds of miles from home and family. Adopted as a child by an Australian couple, and twenty-five years later, haunted by memories of his childhood, he sets out to find his lost family. THE BIRTH OF A NATION, directed by Nate Parker, is a gruelling account of the life of an enslaved African-American who led a slave revolt in Virginia in 1831, and stars Parker himself. And we have the musical LA LA LAND, a bittersweet love letter to the city of Los Angeles. 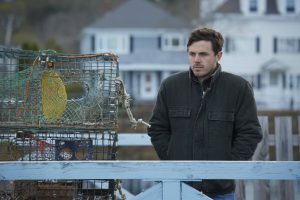 We await the European Premiere of MANCHESTER BY THE SEA, directed by Kenneth Lonergan. The film, which stars Casey Affleck, Michelle Williams and Kyle Chandler is an exploration of grief and redemption. Watch out for NOCTURNAL ANIMALS, Tom Ford works with a starry cast including Amy Adams, Jake Gyllenhaal, Michael Shannon, Aaron Taylor-Johnson, Isla Fisher and Armie Hammer, and reunites many of the creative team behind A Single Man (LFF2009). The Virgin Atlantic Gala is the European Premiere of QUEEN OF KATWE, Mira Nair’s powerful true life tale of one girl’s determination to escape from poverty in Uganda by becoming a chess champion. The film stars newcomer Madina Nalwanga alongside David Oyelowo and Lupita Nyong’o. SNOWDEN is presented as a Headline Gala. Oliver Stone’s super-charged political thriller stars Joseph Gordon-Levitt as the titular intelligence operative alongside Shailene Woodley, Melissa Leo, Zachary Quinto, Tom Wilkinson and Scott Eastwood. The Mayor of London’s Gala is the European Premiere of THEIR FINEST, which sees director Lone Scherfig return to the Festival following An Education (LFF2009). 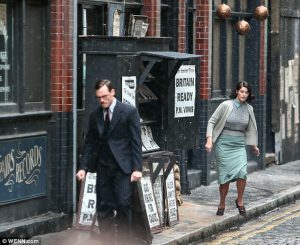 Gemma Arterton and Sam Claflin star in this delectable comedic drama, set in the world of filmmaking in London during the 1940s. Another gala to look out for is J.A. Bayona’s A MONSTER CALLS, a highly moving film based on the hugely popular book by Patrick Ness. A young boy’s vast imagination enables him to see wonder beyond his tough circumstances. The Archive Gala is the World Premiere of the BFI National Archive restoration of Arthur Robison’s THE INFORMER (1929). This rare silent adaptation of Liam O’Flaherty’s famous novel is set among Dublin revolutionaries in the early days of the newly independent Irish Free State, formed in 1922. The screening will be accompanied by a specially commissioned score by Irish composer Garth Knox performed live by a six-piece ensemble. Once again the Festival is divided into strands: Love, Debate, Dare, Laugh, Thrill, Cult, Journey, Sonic, Family, and also Experimenta. See the programme for full details of films in each section. Lots more to come, Find out for yourself by getting the free programme from 020 7928 3232.